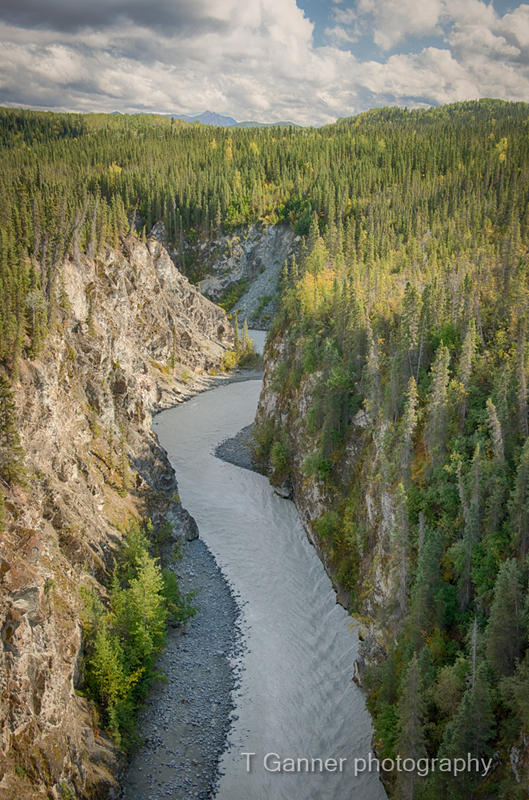 The tale will begin, of our first major foray into Wrangell-St. Elias National Park. 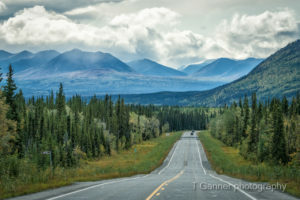 Wrangell-St. Elias covers an area of 13.2 million acres and is a member of a UNESCO World Heritage site that includes itself, Glacier Bay, Kluane National Park and the Tatshenshinit-Alsek Wilderness. 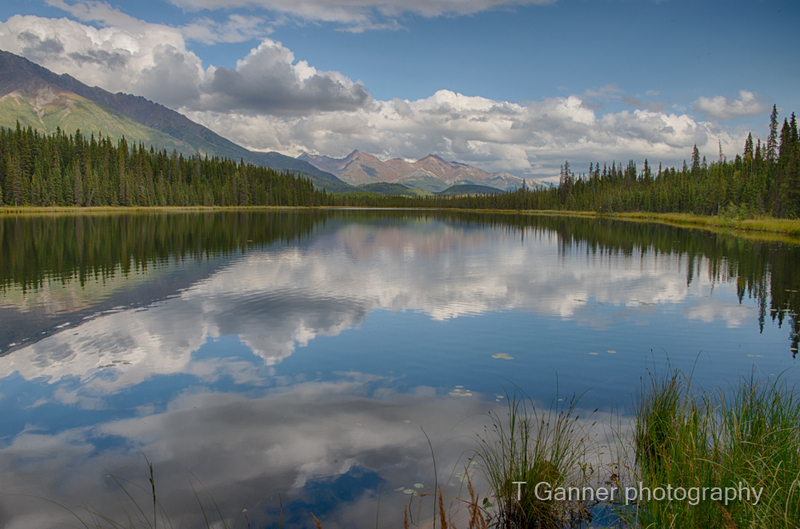 This heritage site is the largest expanse of roadless wilderness in North America. 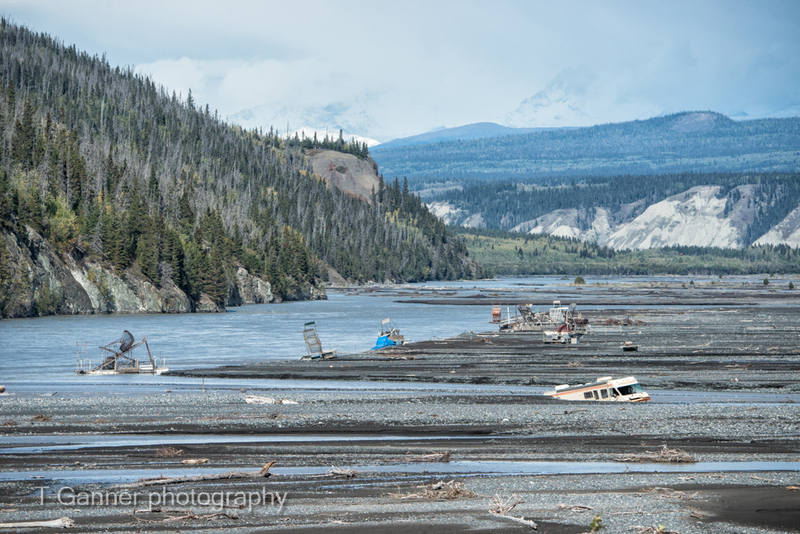 There are only two roads that access Wrangell-St. Elias, and this last fall we accessed the park through the McCarthy road, on our visit to the Kennecott Copper mine. The weather was splendid (a pleasant surprise for this time of year) and the autumn colors were beginning to make their turn. The entire trip was magnitudes more interesting than I had anticipated. The tale will continue. Remain calm; Stay tuned. 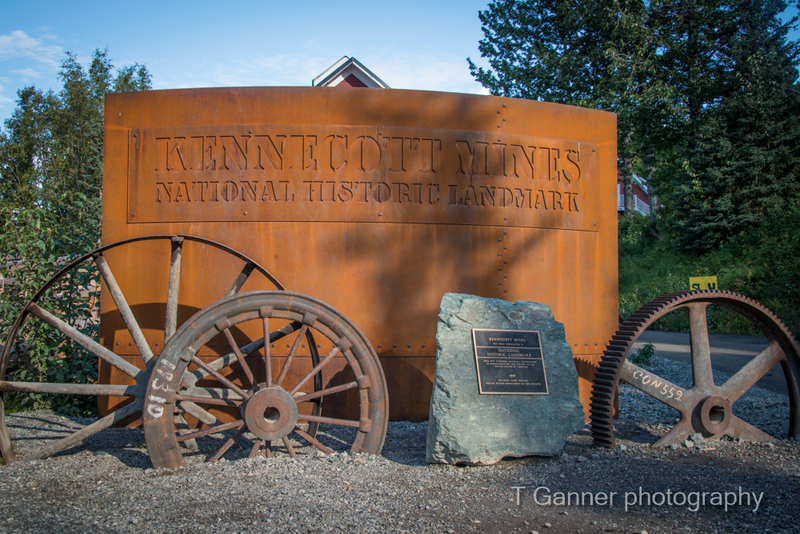 On our way to McCarthy … I knew there is a ranger station at the Kennecott Mine, but along the way I thought it prudent to stop in and visit with the main visitor center along the Richardson Highway on our way in. Stories and information varies, and it would not hurt to hedge our bets with more input. It was a good call. The ranger Katie was delighted to hear we are from Haines, and we found we have mutual friends. 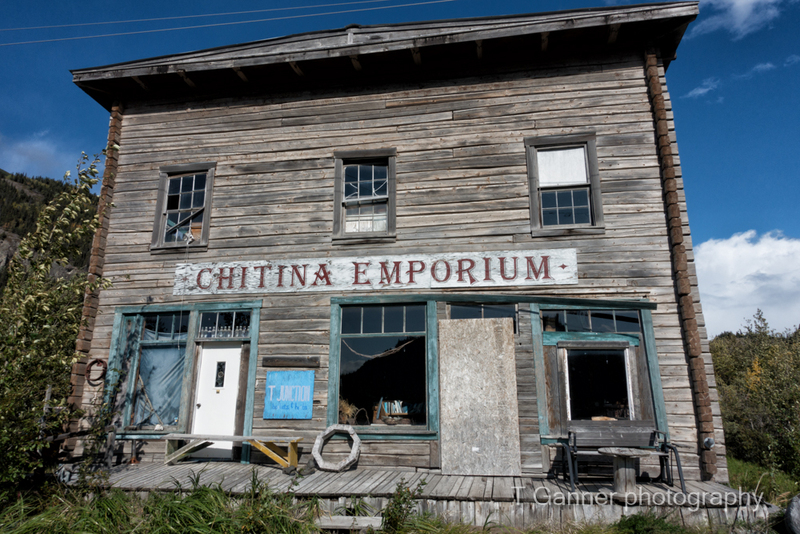 She recommended we stop in and see Ranger Vickie at the Chitina station along the McCarthy road, which we did. To our delight, Vickie told us we would have a nice surprise if we back-tracked slightly and went down the O’Brien Creek road. 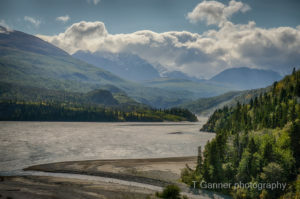 The view was wondrous, where O’Brien Creek enters the Copper River, a favored dip-netting location for salmon harvests. I believe the distant view may be of Spirit Mountain. 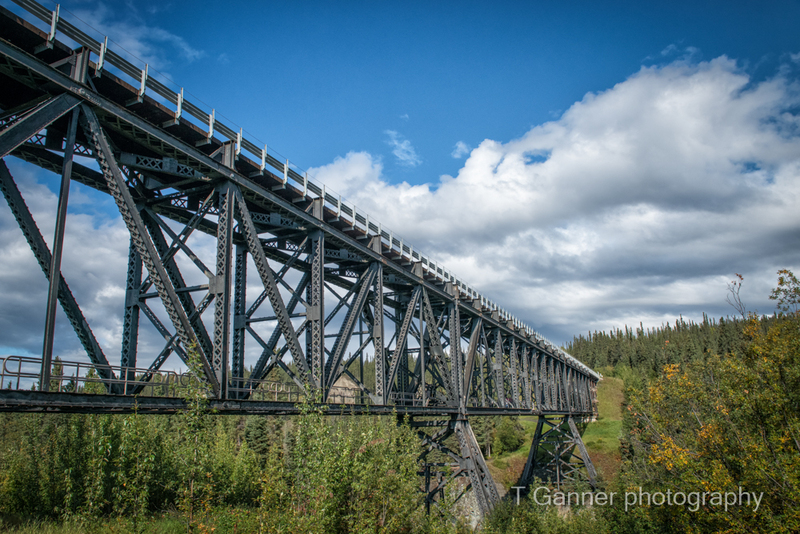 Along the McCarthy Road (Mile 17) the Kuskulana Bridge was a major trestle along the Copper River and Northwestern Railway line completed in 1911 to transport copper ore from Kennecott to Cordova. 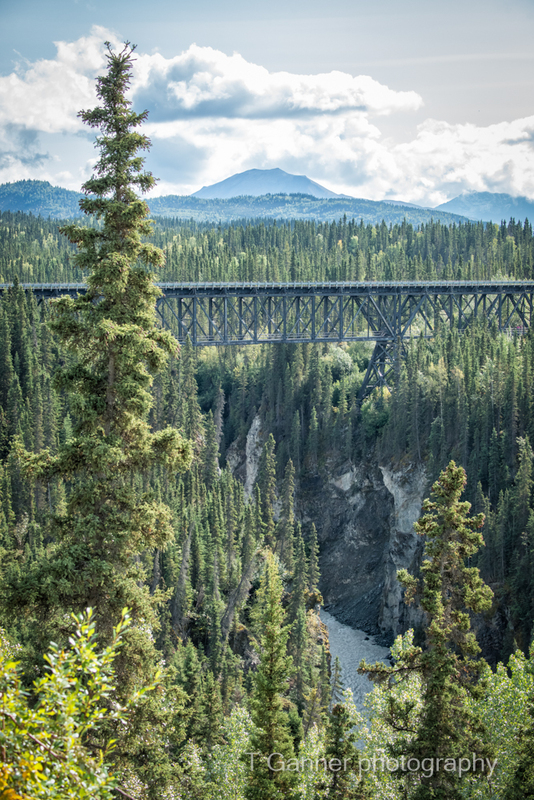 The Kuskulana Bridge spans a 238′ gorge. The bridge was constructed during the winter of 1910. The depth of the canyon likely precluded the use of more traditional timber pilings. 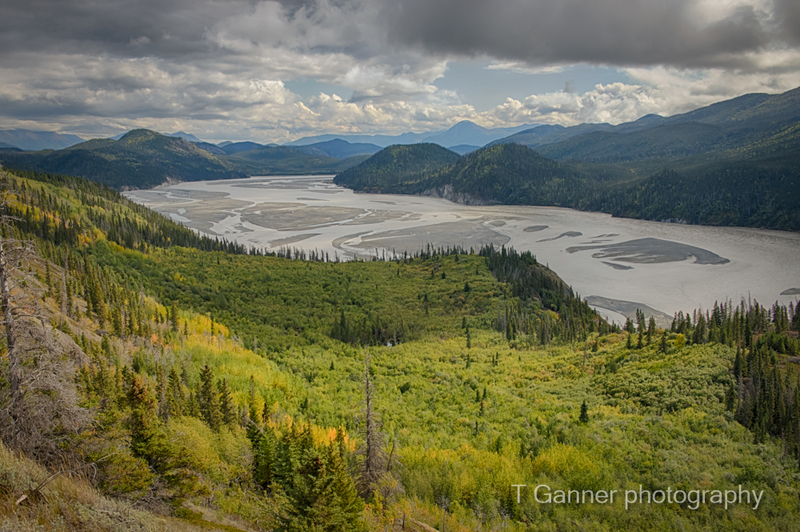 The river that runs 238′ below is fed from several glaciers on the southern and western slopes of Mt. Blackburn. Along the McCarthy Road, got a flat tire at the Kuskalana Bridge. Really appreciated my Subaru’s low pressure sensor alert. Twenty miles in, forty miles to go, Proceed or retreat for a repair? Forged ahead and trusted that at the end of a 60-mile dirt road, someone would be ready to capitalize. Lovely views along the way. What, me worry? This is the remnant of a dam that collected water from the National Creek for the mines voracious needs. 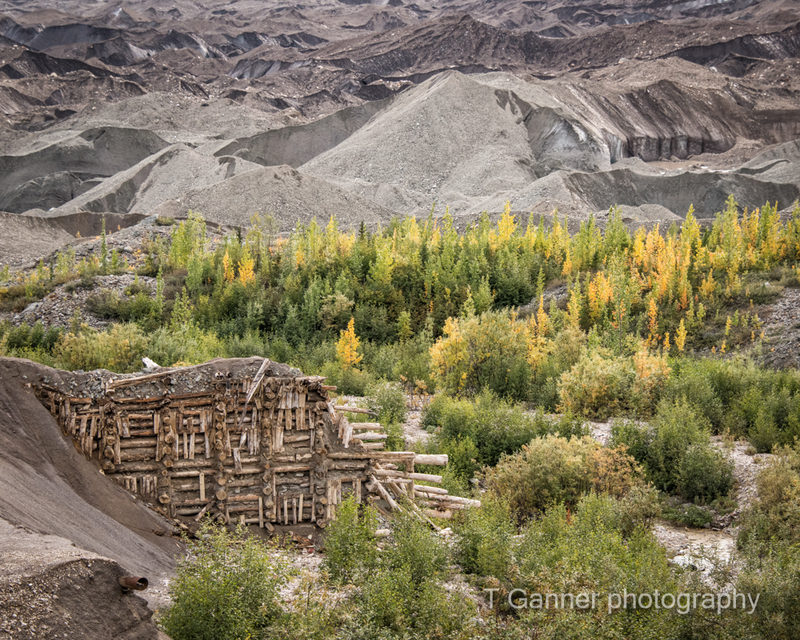 The piles of dirt beyond the foliage is the Kennecott Glacier draped in moraine debris. 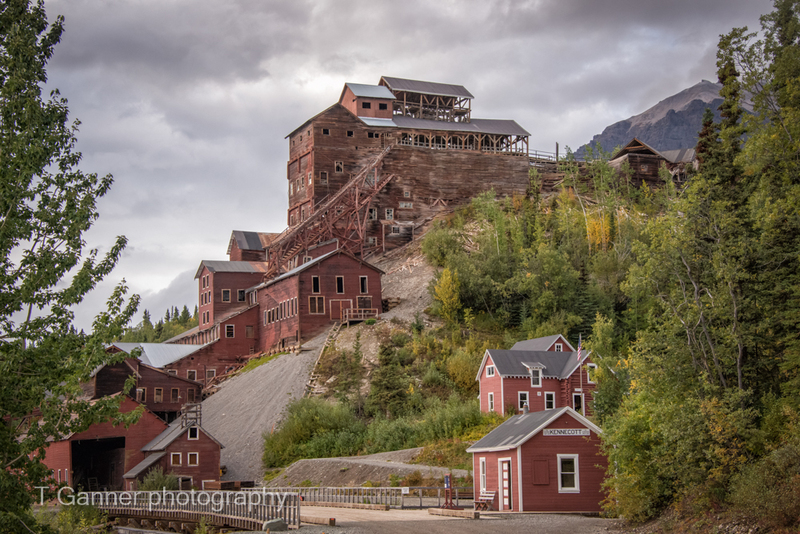 Coming up in my next pictoblog, I will share the fun of climbing along the Root Glacier, trekking up to the Stairway Ice Fall, and exploring the town of Kennecott, including exclusive tours of the inside of the mill and power plant. Stay tuned. I always love your pics and the narrative which makes it so much more interesting! What an adventure! Hope you two are well and having fun. Wow!! That was one great adventure! 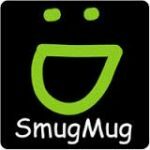 Your pictures and descriptions take me right along with you both. Keep them coming!! Photography is my dharma. It is an act of devotion in hopes of doing justice to man’s and God’s Handiwork.